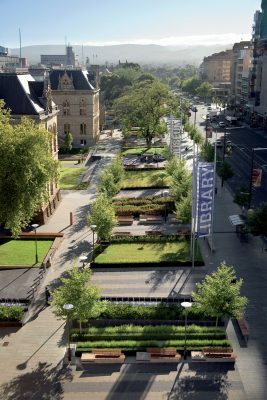 The Government of South Australia through Arts South Australia, Art Gallery of South Australia and Malcolm Reading Consultants revealed today (14/13 December 2017) the six teams shortlisted for the Adelaide Contemporary International Design Competition. The first stage of the competition attracted 107 teams made up of circa 525 individual firms from five continents. The global call for interest was designed to encourage Australian as well as leading international practices – a condition of the competition is partnership with an Australian architecture practice at stage two, which has already been fulfilled by the shortlisted teams. 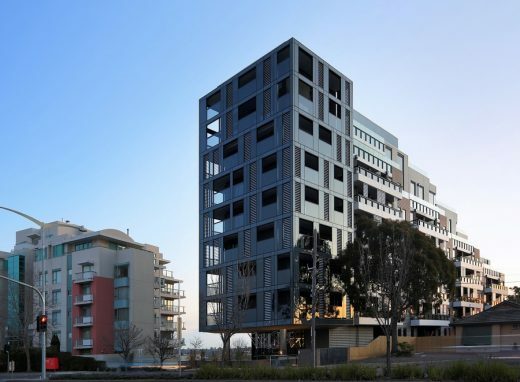 The architectural competition will inform the finalisation of a business case and funding approval by the Government of South Australia following the brief development phase. 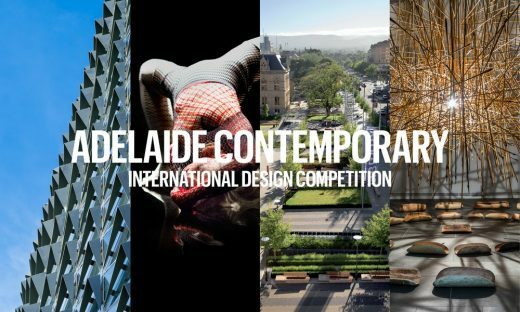 Competition organisers Malcolm Reading Consultants revealed today [01 12 2017] that the Adelaide Contemporary International Design Competition has attracted 107 teams made up of circa 525 individual firms from five continents. The global call for interest was designed to encourage Australian as well as leading international practices – a condition of the competition is partnership with an Australian practice at stage two. The majority of applicants, over a third, are led by Australian practices. Of the rest, over a fifth of entrants came from North America; just under a quarter from mainland Europe; a tenth from Asia (with a strong showing by Japan); and less than a tenth from the United Kingdom. Architects from as far away as Afghanistan, Iran, Scandinavia and China applied to be considered. From these initial submissions a shortlist of up to six teams will now be selected by a panel chaired by jury chair Michael Lynch AO CBE. The finalists, to be announced in mid-December, will then go on to create concept designs. 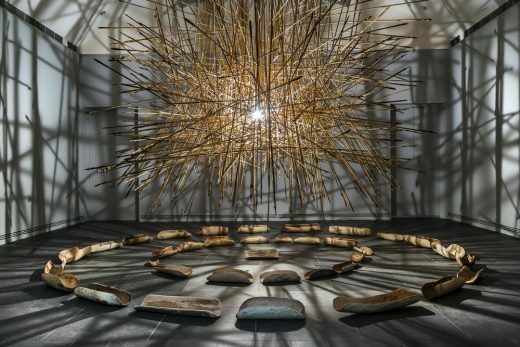 Adelaide Contemporary’s world-first Gallery of Time will draw from the State’s collection to place Aboriginal art and culture in conversation with work from European and Asian cultures. “We are delighted by the response to the competition – it demonstrates the faith shown in the process and this inspirational project. “Arts South Australia’s aim is to identify an outstanding team for what will be a unique art destination within Australia. We appreciate the interest shown by architects both within Australia and across the world – this is literally a world of choices – and for the selection panel choosing the shortlist will be both daunting and very exciting. 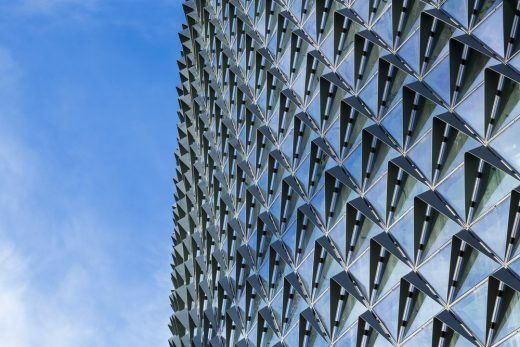 “The quality of teams, of talent, is exceptionally high and includes Pritzker laureates – architecture’s equivalent of the Nobel Prize – as well as Australian Institute of Architects’ Gold Medallists. But ultimately, teams will be selected on the quality of their submission, their intellectual and aesthetic connection to the project. “It is heartening to see Australian architects embracing the two stage competition process – this is widely welcomed by the architecture profession in Europe and North America and compliant with international procurement standards – but it is less familiar in Australia. At stage two shortlisted teams will need to include an Australian registered architect; the teams will receive an honorarium of AU$90,000 for their competition work including their concept design. The competition brief embraces South Australia’s Industry Participation Policy, to ensure that maximum economic activity is generated locally from project conception through to delivery; and to provide new opportunities for local producers, entrepreneurs and businesses. The shortlist and competition jury will be announced next month and a public exhibition of the shortlisted teams’ concept designs will be held in Adelaide prior to the jury meeting in May 2018. The designs will also be available to view on the competition website. The public will be able to give feedback, and stakeholders will be invited by Arts South Australia to provide their response. The winner announcement is anticipated to be in early to mid-June 2018. 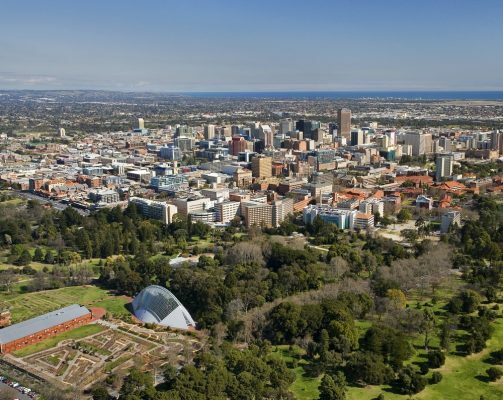 Adelaide Contemporary will be a new landmark on the city’s celebrated North Terrace boulevard adjacent to the historic Botanic Garden and close to the parent Gallery.